Each book is written and photographed by Matthias Breiter. Any images in the books or the online galleries are available to purchase as prints. Please contact us for more information. Inside Passage is an intimate portrait of the world-famous sea route in along Alaska’s coast. Award-winning photographer, author and biologist, Matthias Breiter, has traveled the waters along North America’s northwest coast aboard ferries, fishing vessels, tug boats, pleasure craft, and kayaks for twenty years. Through stunning images and inspirational, fact-filled text, this book celebrates one of the most scenic and biologically-rich regions on earth. This book placed gold at the 2011 Independent Publisher Book Awards. 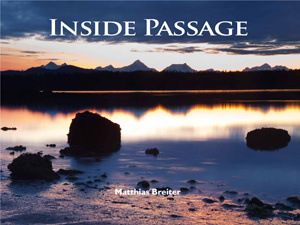 Matthias Breiter’s stunning book explores the nooks and crannies of this natural wonder with photos and stories that will take your breath away. The pages of this book were printed on chlorine free paper made with 10% post-consumer waste, saving 6 fully grown trees, 2,677 gallons of water, 163 pounds of solid waste and 556 pounds of greenhouse gases. Printed in Canada. Wild Alaska is a breathtaking exploration of the entire state, covering it from the rainforests of the Panhandle to the windswept islands of the Bering Sea and to the Arctic plains in the far north. Both through images and words, this stunning and inspirational book pays respects to the states immense diversity in the landforms and in its wildlife. Wild Alaska is a celebration of the beauty of nature and a declaration of love for the state. Alaska covers 615,230 square miles, stretching 2,400 miles east to west and over 1,400 miles north to south. Its coastline is nearly double that of the rest of the country. Temperate rainforest envelopes mountainsides in the far south whereas Arctic semi-desert spreads in the north. Over eighty percent of all sea birds in the United States occur in the western part of the state alone. The majority of the total population of bald eagles and grizzlies thrive in Alaska. More than a dozen species of whales live in its coastal waters. Migrating salmon choke streams so that it appears possible to cross the water walking on their backs. Seventeen of the twenty loftiest peaks in the United States are found in Alaska including the roof of North America, Mount McKinley. Thirty active volcanos dot the Alaska Peninsula and the Aleutain Chain. Alaska defies generalization. It is a land of truly continental dimensions and global significance. This book portrays brown bears as what they are: highly adaptable animals that defy generalization. 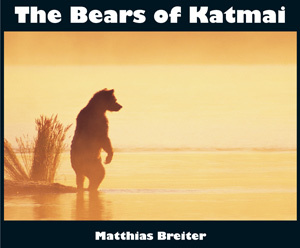 Matthias Breiter draws on his vast experience among the Bears of Katmai to offer a different perspective on these animals. He shares his unique insights into the daily lives of the bears throughout the seasons. 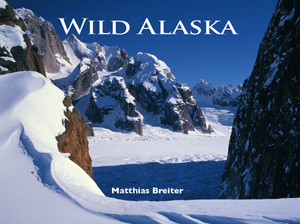 Each chapter describes a different bear at a specific stage in its life: cubs exploring their environment in their first spring; large males fighting for supremacy over fishing sites in the summer; and ‘Diver’, the calm Methuselah of the bears of the Brooks River, catching salmon as the snow flies in the late fall. Edition: English Language 2008 – Printed in Canada. “What good is a bear?” Matthias Breiter opens this thoughtful and superbly illustrated book, Bears: A Year in the Life with this surprising question. He answers it by taking us on a fascinating journey through an entire year in the life of North America’s great bears – the black bear, the brown bear and the polar bear. Beginning in February when the bears first wake from hibernation and give birth, we watch these magnificent creatures hunt, feed, play mate and breed until the return of winter, when the need to hibernate begins the cycle again. 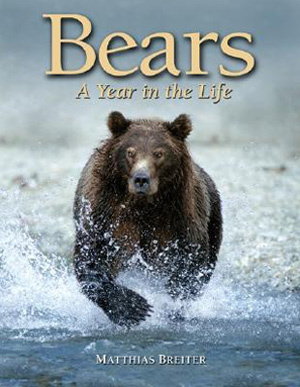 Bears is packed with facts and details gained over a lifetime of study and photography by its internationally renowned author, Matthias Breiter. After a month of designing we are happy to present you with a brand-new, beautiful website to enjoy. New pictures and 'weekly tidbits' will be posted on a regular basis so be sure to check out the new content!